In all my cooking workshops and classes shocked students ask why macrobiotics does not support the use of nightshades. Who can blame them? Potatoes, peppers, chillies, aubergines, tomatos are staple foods in western diets. They are everywhere and it´s almost impossible to eat out without finding them in your plate. In order to explain the macrobiotic approach to these foods let me use what Anne Marie Colbin says about them in her book “Food and Healing”. “The nightshade family, or salanaceae, comrises some ninety-two general with over two thousand species; its memebers include many stimulatin, posonous, o medicinal plants, such as tobacco, hebne, madrake, and belladona (deadly nightshade); ornamental plants, such as petunia, chalice vine, and angel´s trumplet; and some of our most widely used food plants – potatoes, tomatos, eggplant, and peppers of all kinds (green, red, chili, paprika, cayenne, hot, sweet, and so on, except for black and white pepper). Potatoes, tomatos, and pepper were used as food by the Incas; at that time, potatoes were apparently much smaller than they are today, ranging in size from tat of peanuts to that of prunes. 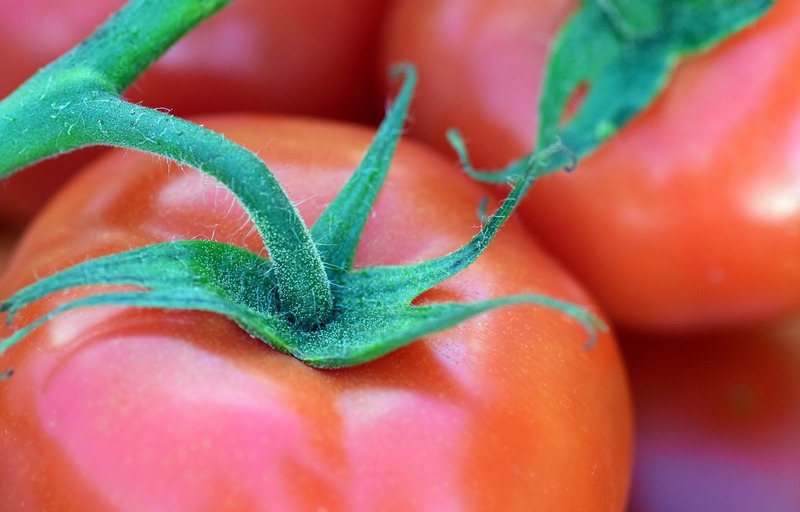 Unknown in Europe before the Spaniards brought them over in the 16th C., tomatoes were first used as ornamental plants; the leaves and shoots had been found to be poisonous, and the furit was thought to be equally unwholesome. Eventualy, due to the ease of its cultivation, the potato became a major starch food, especially in northern Europe, rplacing the more traditional barley and oats; in sourther Europe tomatoes began to be used tin soups and sauces. The eggplant may have been cultivated inthe Old World as long as five thousand years ago; it has been a staple of Green and MIddle Easter meals for centuries. Nightshades are hight in alkaloids, chemical substancies that are products of plant metabolismo and have a strong physiological effect. Alkaloids share with protein a hight nitrogen content, but are in fact “denatured proteins”, the other side of the coin; that in, rather than bein tissue builders, the are stimulants, hallucinogens, medicines, and poisons. The presence of nitrogen also makes alkaline, therefore, they neutralize acidity. Among the better known alkaloids are caffeine (in coffee), theobromine (in chocolate), opium, morphine, heroin, strychinine, quinine, and in the nightshades, nicotine, atropine, belladona, and scopolamine. Alkaloids are found in all parts of the food nightshades; some of the mature fruit, such as eggplants, peppers, and tomatoes, contain only faint traces. The potato contains the alkaloid solanine, which is found most abundantly in and under the skin. Storage conditions that include light and heat may, over time, increase the solanine content after harvest up to toxic levels. Impropery stored old potatoes have been known to cause gastrointestinal inflammation, nausea, diarrhea, dizziness, and other symptoms that can be severe engough to require hospitalization (37). Cattle grazin on the nightshade Solanum malacoxylon grow sick and deformed from an excess of vitamin D, which causes and increase of calcium and phosphate in the bloo, a condition that leads to calcification of the aorta, kidneys, lungs, and the back of the neck (38). It may be relevant to note here that calcification of soft tissue – that it, the deposition of calcium (bone matter) in anappropriate places within the body – is possibly the most prevalent physical symptom in modern industrial cultures. Hans Sely has called it “the calciphylactic syndrome”, and it is involved in arthritis, arteriosclerosis, coronary disease, cerebral screrosis (senility), kidney stones, rheumatoid arthritis, chronic brnochitis, osteoporosis, lupus erythmatosis, hipertension, and even certain forms of cancer (39). Nightshade foods may subtly remove calcium from the bones and deposit it in joints, kidneys, arteries, and other areas of the body whre it does not belong (40). We can make sense out of this through the balance-of-opposites theory, in this ase of the acid and the alkaline. In a meat-and-dairy diet, the acid-forming meat protein must be alkalized with tmineral. The alkaloids in such nightshades as potatoes and tomatoes may be instrumenta in keeping the alkalizin calcium from dairy foods in solution, or pulling it out of blodd or bones. If the process overshoots and too much calcium is liberated, the excess could indeed be redeposited in soft tissues as spurs, plaques, stones or other calfifications. Vitamin D3 in the Solanum nightshades has been found to be involved in promoting calficifaction of body tissues. additional vitamin D in the diet, such as in fortifued milk and other dairy products, breadfast cereals, and margarine, may then intesify this process. Arthritics have been advised by one researcher to follow a “no-nightshades diet” and avoid not just the obvious foods but also processed ones that have even the slightest traces of patato flour, paprika, cayenne, tbasco, hot peppers, and any condiments containing these. The consumptionn of foods with vitamin D added is also discouraged, as we normally get enough of this vitamin from the sun. People who have followed these suggestions report good results, includin remissions of arthritic pains, rheumatoid arthritis, osteoarthritis, bursitis, tennis elbow, gout, lowe-back pain, headaches, night blood pressure, and a host of related conditions (41). I have personally encountered a number of cases were joint pains have disappeared entirely after several months on a strict no-nightshades diet and no smoking (tobacco is a nightshade also). In other cases, muscle pains and charley horse (which have been associated with lack of calcioum) followed a meal high in sweet peppers or spiced with hot peppers. It´s interesting to note that over thirty years ago, well before nightshades had fallen under any kind of suspicion, the macrobiotic regimen proposed by George Ohsawa recommended a total avoidance of these plant foods, deeming them too expansive: quick to grow, high in potassium and water, sharp of flavor in some cases. The stricture against nightshades in the macrobiotic regimen is coupled with the stricture against meat and milk products: perhaps avoiding these foodstuffs, while increasing fresh vegetables, grains and beans, might allow a disturbed calcium metabolism to calm down, and could lie behind the aparent success of macrobiotcs in restoring foint flexibility and shrinking spurs, plaques, and stones. One of the nightshades, tobacco, is known to be involved in causing cancer. There´s another question to consider: potatoes and tomatoes reproduce quickly, growing easily and fast -could there be a connection between them and fast-growing cancers, farfetched as in may seem? (38) George K. Davis, “Effecto of a Nightshade on Livestock”, in Childers. (39) J. Yogamundi Moon, A Macrobiotic Explanation of Pathological Calcification, pp.3-5. See also Hans Selye, Calciphilaxis.